Update: Cover reveal and giveaway! For this week’s update, I am proud to present the cover art for Enduring Chaos! Cursed with fearsome eyes and a dangerous gift, any chance of Damian Sires having an ordinary life was dashed the moment she was born. All her life, she has hidden her abnormalities and fought for acceptance behind the shadow of a veil and her respected merchant father. When Damian’s power spirals out of control and casts her out alone into the world, she finds herself caught up in plots as old as the gods themselves. Bitter exiles, deposed nobility, clandestine knights, and a divine being with an ancient grudge all close in on the unstable power radiating from Damian. Desperate to keep that power contained, she sets out with mysterious allies in an attempt to find someone who can help her in a world that fears magic. Yet the source of Damian’s ability is far more deadly than she imagined. 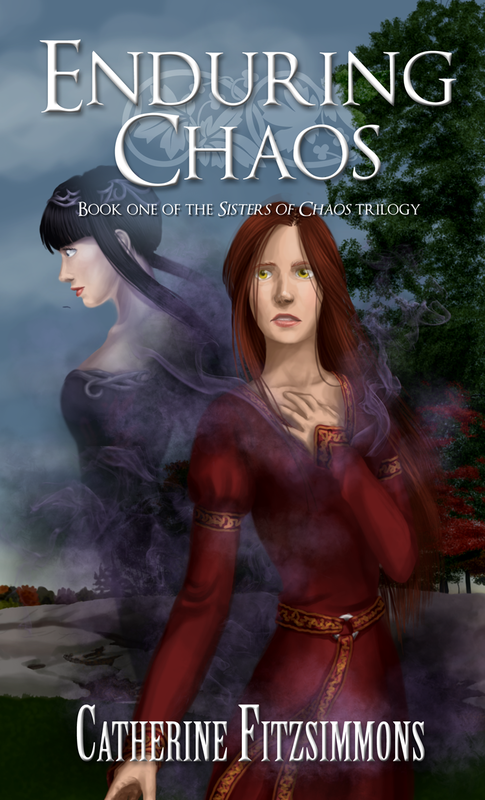 View Enduring Chaos on Goodreads. In addition to the cover reveal, I am offering a giveaway to win a free e-copy of Ruins of Change by J. R. Dwornik, the first book in the world of Elderra! Simply comment on this post by October 25th and you will automatically be entered into the giveaway. This entry was posted in news and tagged art, book, cover, ebook, fantasy, free, giveaway, new, novel, reveal, win. Bookmark the permalink. Looking forward to reading the final draft.